The Kingfisher Sinfonietta was founded in 2011 by its Leader/Director Beth Spendlove. 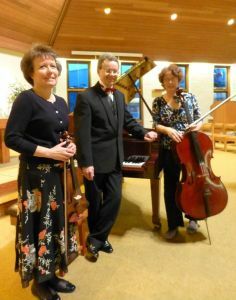 In a short but very busy time, it has become a much respected orchestra, performing to high professional standards in a variety of venues across Suffolk and Essex. As well as some of the best orchestral musicians in East Anglia, the KFS occasionally helps young musicians to experience and gain confidence in orchestral playing. Soloists are drawn from the profession and from principal players within the orchestra. "The key to its success," says Beth Spendlove, "is that we all truly enjoy playing together. All the players are so enthusiastic about making really good orchestral music. Some of us have performed together for a very long time." Although some of the concerts, in keeping with a challenging historic tradition, are directed from the Leader's chair, many of the larger programmes are conducted by the world-renowned musician and conductor Elgar Howarth, who plays a very active and supportive role in the orchestra. 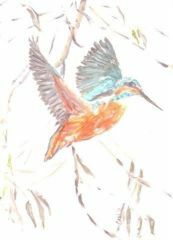 Together with the Kingfisher Ensemble, audiences can enjoy our programmes of music for duo, trio, quartet .... up to large-scale orchestral works requiring 40-50 players! We delight in supporting a number of important choral societies in small and large-scale works and also performing works by living composers. We enjoy performing good music for you. If you enjoy listening, do get in touch by email at kingfisherensemble@gmail.com and join our contact list so that you can receive up-to-date concert information.